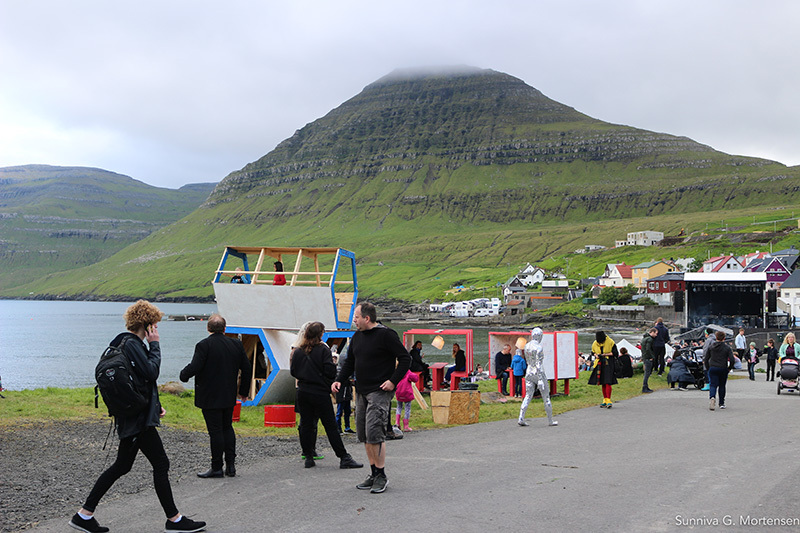 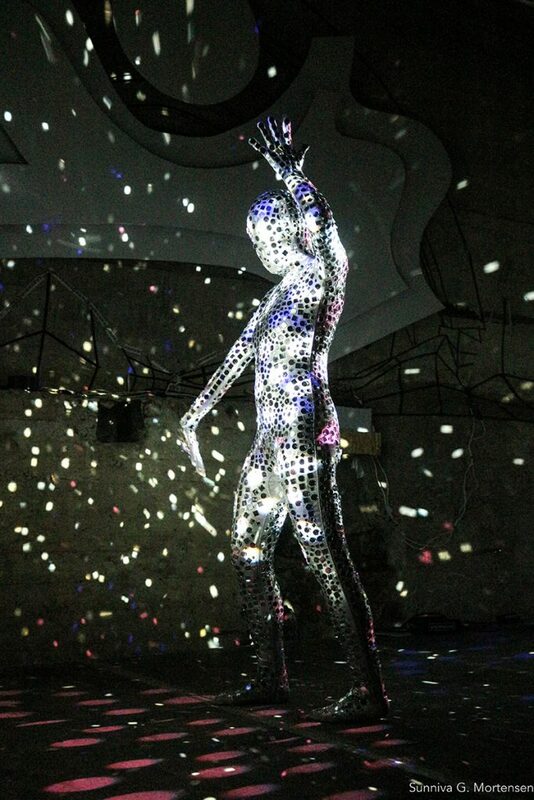 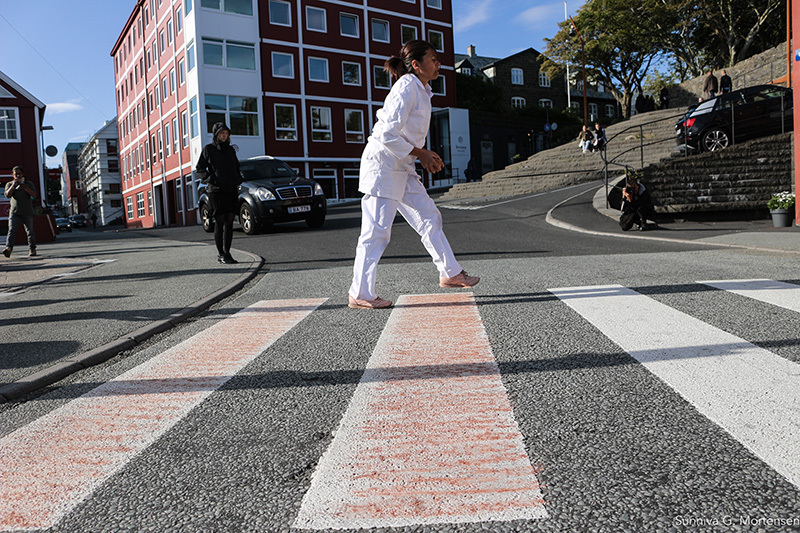 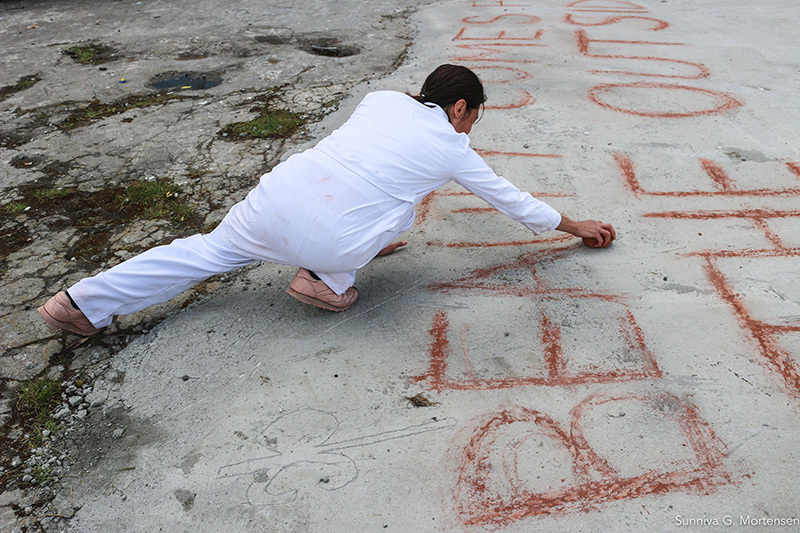 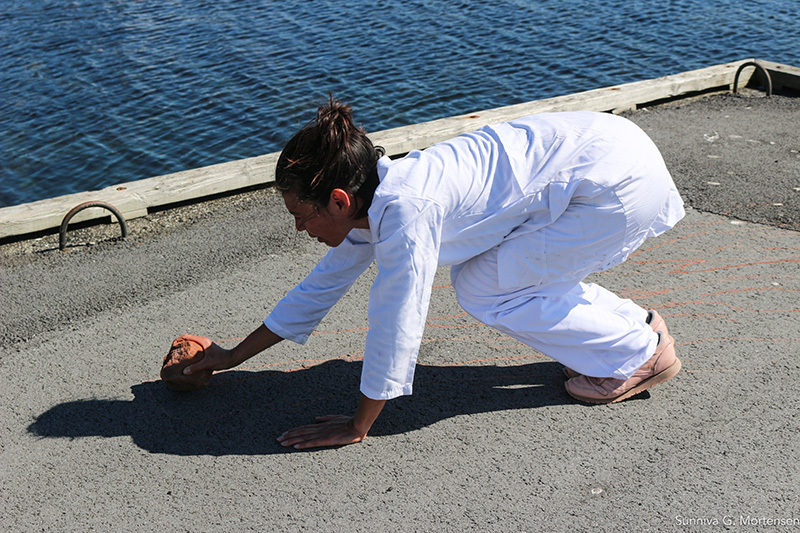 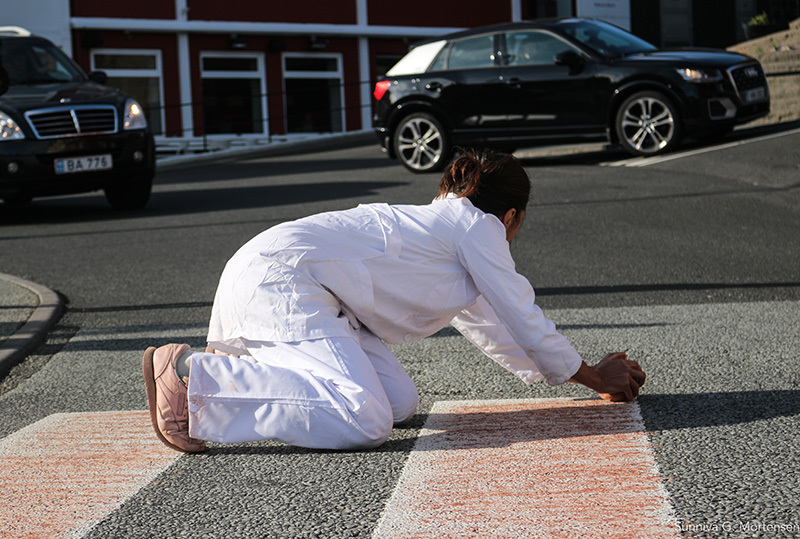 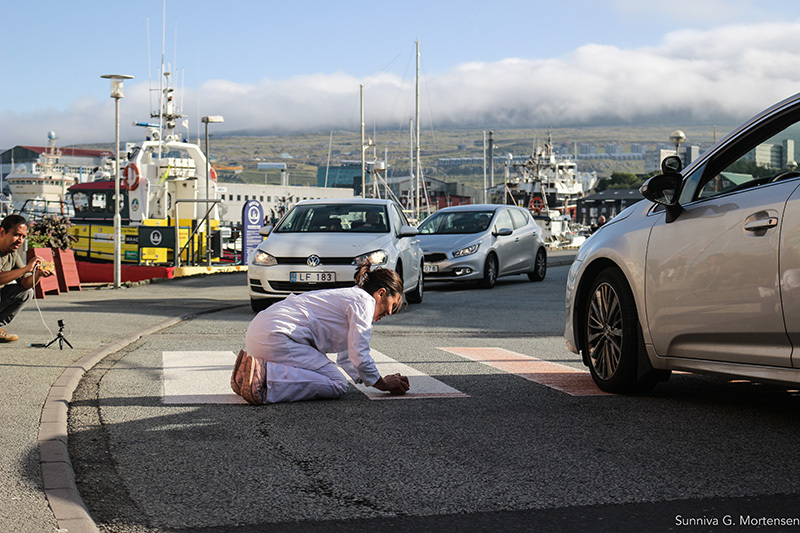 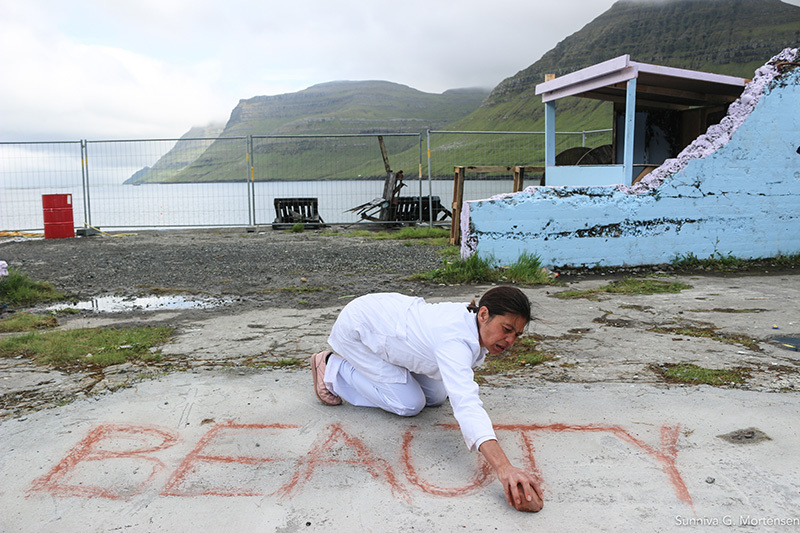 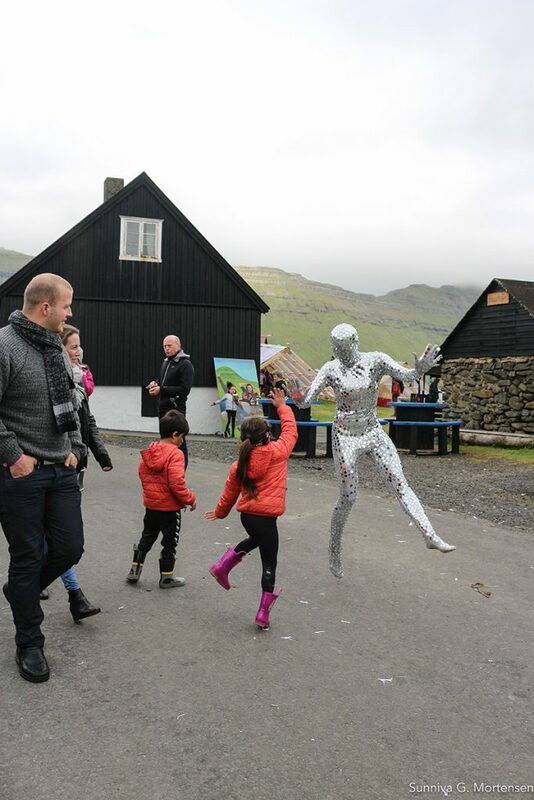 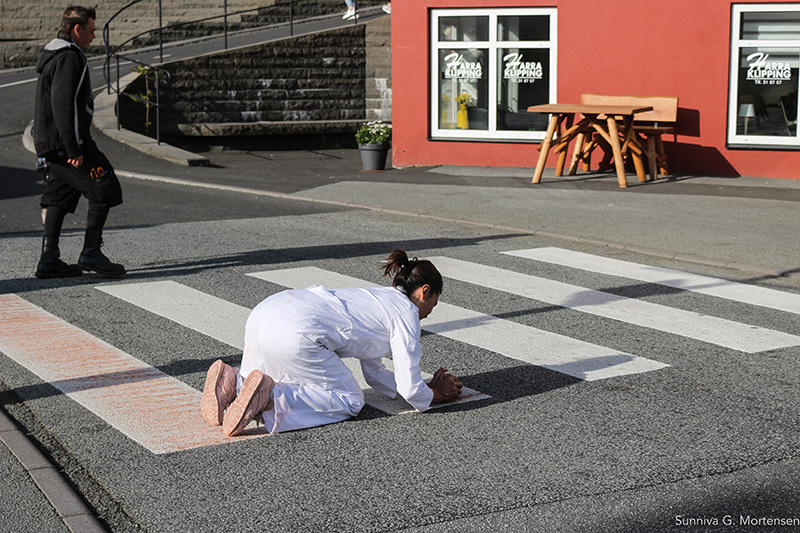 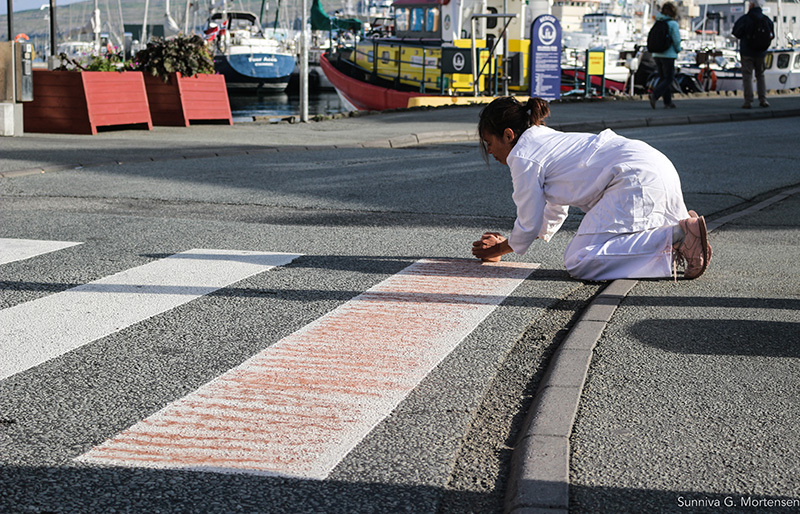 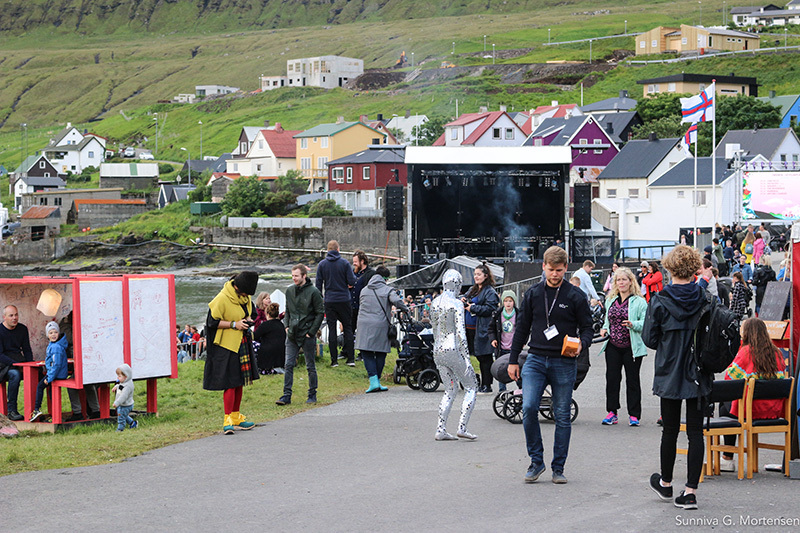 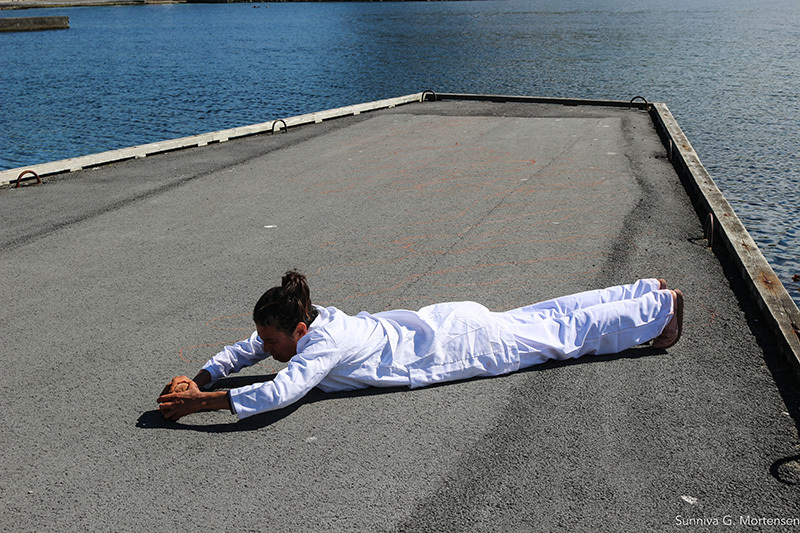 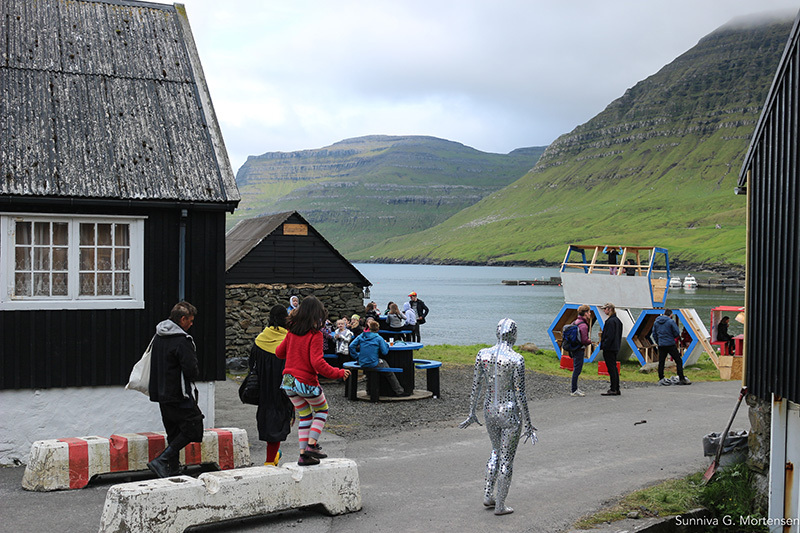 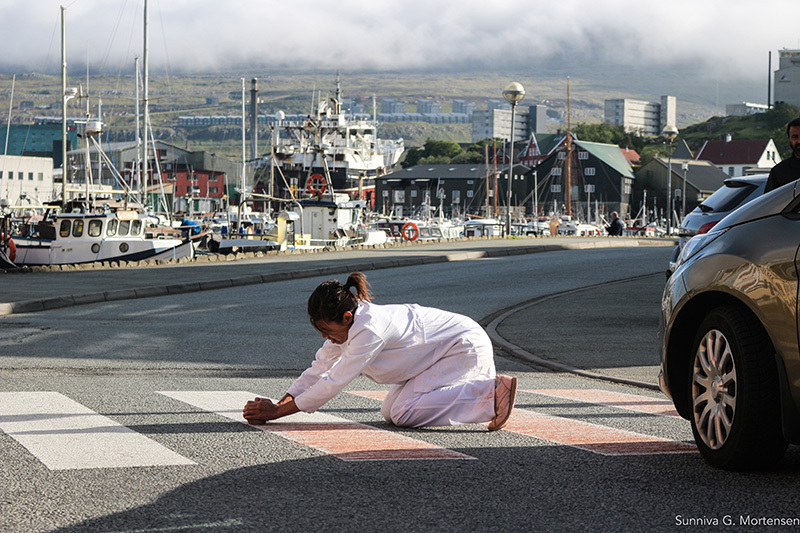 Sustainability as a premise: one of the principal aims of NIAN Føroyar 2018 is to create art without wasting resources or polluting the land. 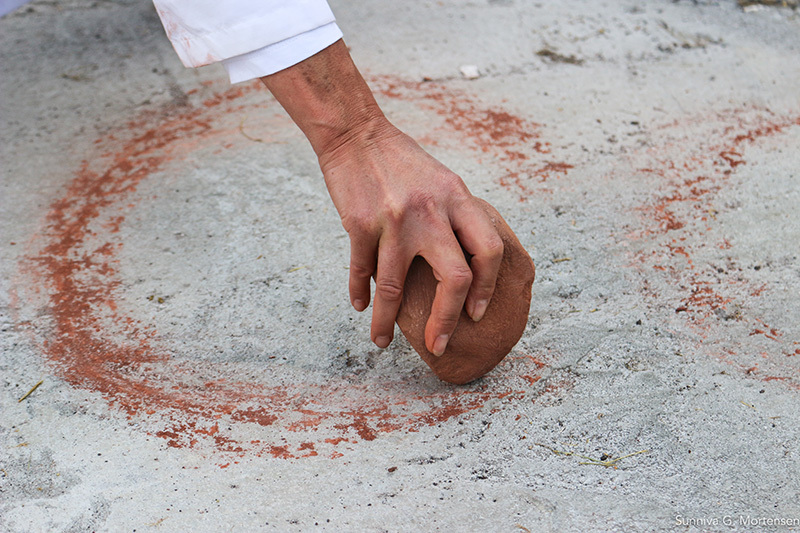 I found a red rock in Nolsoy which I used for three actions in the Faroes. 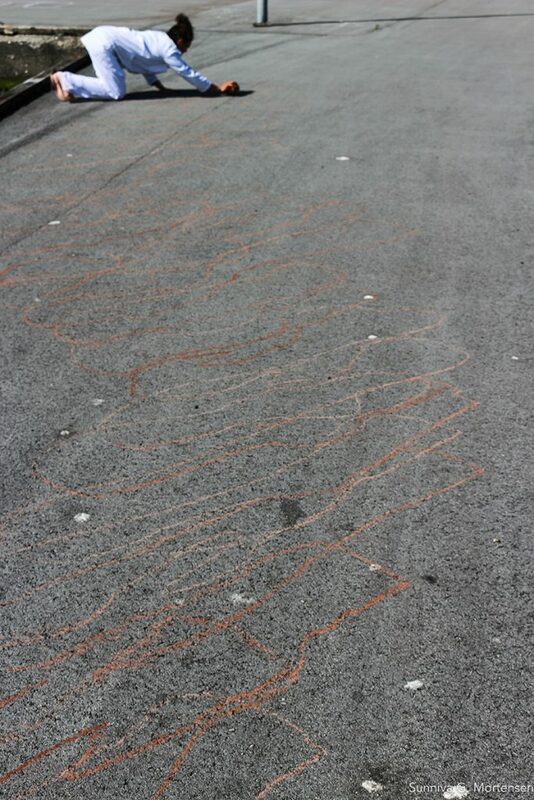 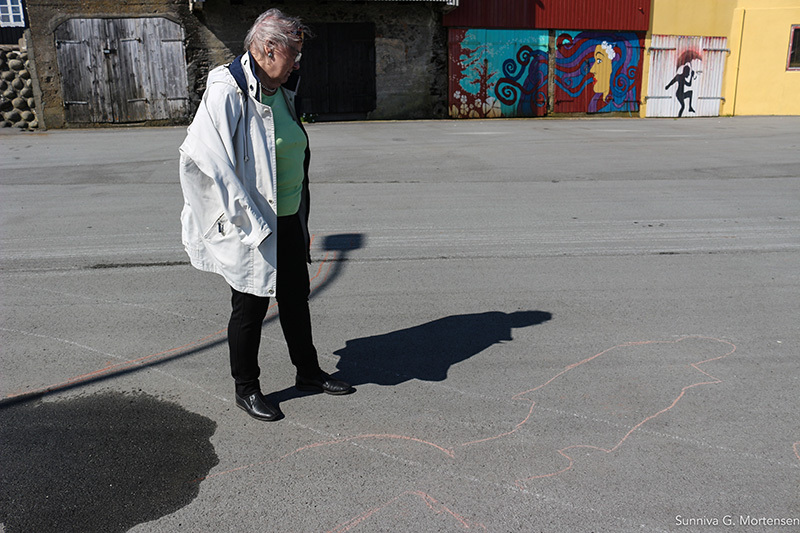 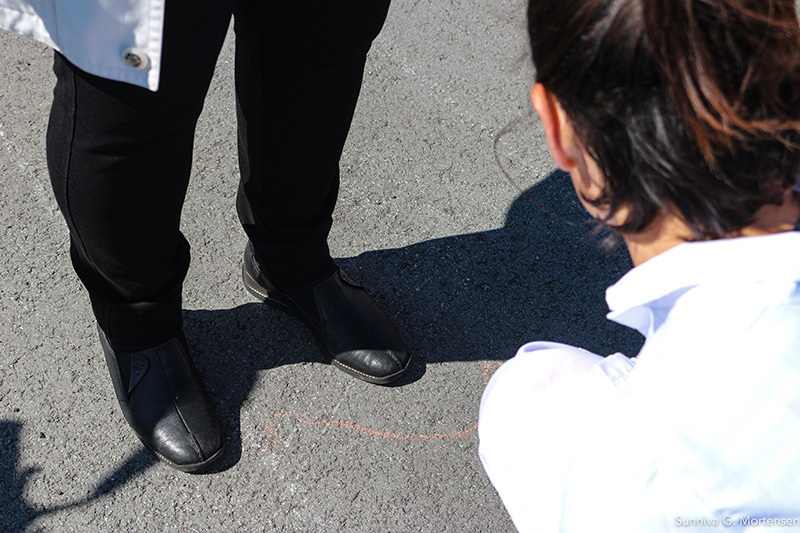 The first day I drew shadows my one and by passers on the asphalt in Nolsoy.